I just read one of the most soul clenching, heart-rending, and utterly hopeful love stories. And yet, I am a sobbing mess of despair. 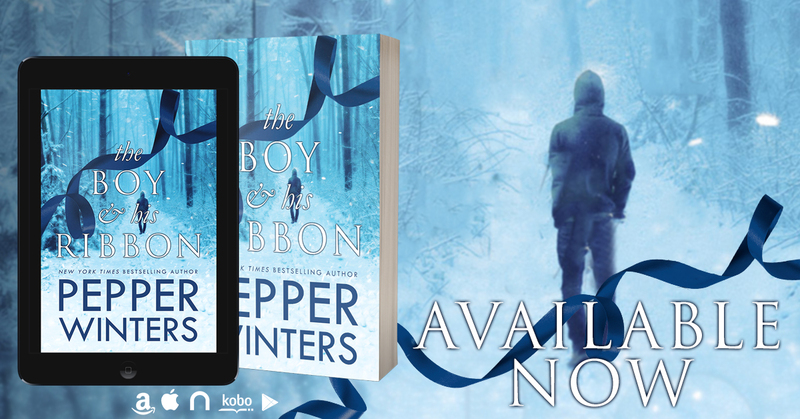 You see, the Boy & his Ribbon, isn't a traditional love story. It's a story filled with love, hope, and devotion. It's an idealistic dream in a reality far too dismal to imagine. A love and bond created in hardship. A love developing over time. A family. the Boy & his Ribbon. But life isn't fairytales. 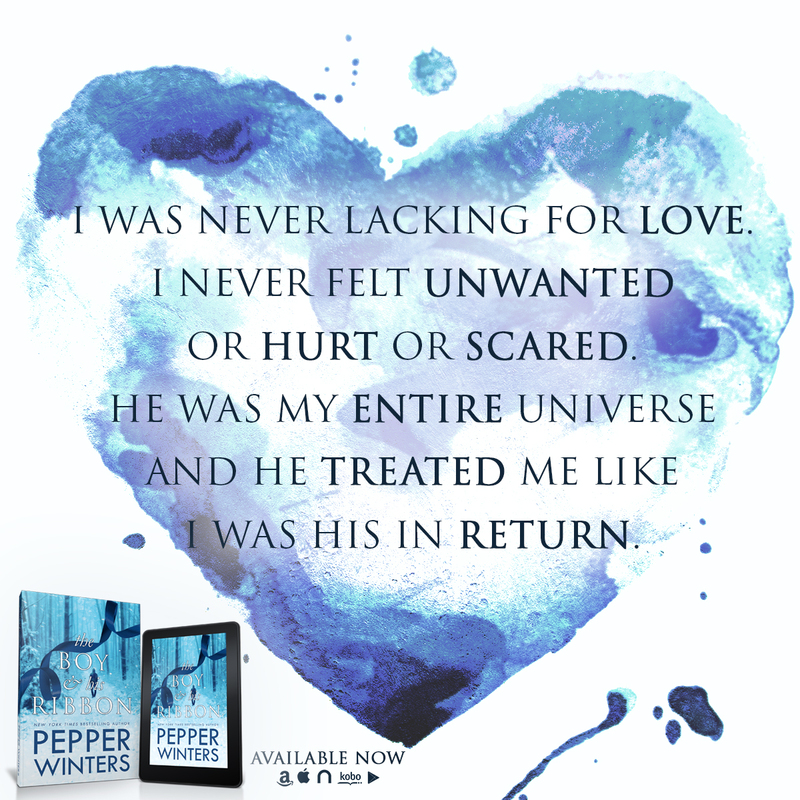 Pepper Winters is a genius at shredding my heart. She has never let me down and so I will struggle with my need. I will clutch my chest hoping for quick relief. But we both know, that nothing Pepper writes comes without sacrifice. I know it will hurt but when it comes to books....I am masochist begging to be hurt more. Clawing for the pain, I will always, ALWAYS, ask, plead, beg, chant, and pant for more. In the end, you will be just as needy. Don't say you weren't warned! 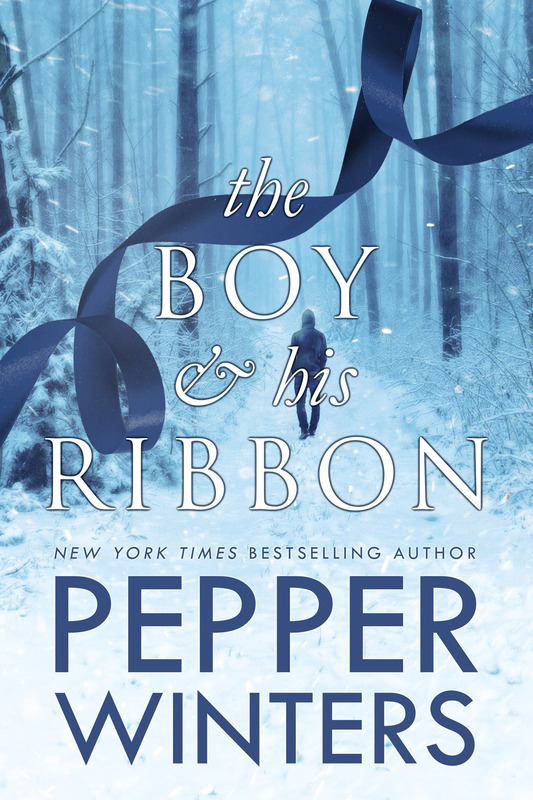 I still remember reading this authors first book and how I felt and in my opinion Pepper’s writing just gets better with each new story. This is not only her best book to date but my top read of the year. I’m not sure I can express how I felt whilst reading I just know I felt EVERYTHING. My heart my mind my emotions were all fighting one another. This is a story unlike anything I’ve ever read, it’s heartbreaking, it’s happy and sad. The relationship between Ren and Della is so special, the bond they forge through the years and the struggles they face was .... I just can’t find the words. They are under my skin and I never want them to leave.